The Royal Canadian Mint has many different coin series that are popular among collectors and investors, including the $100 for $100 coins. 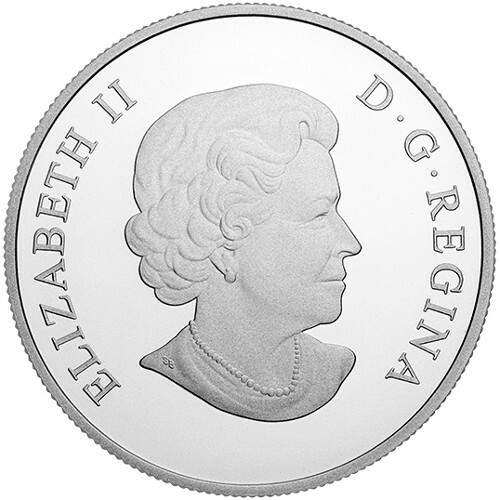 Each coin in the series can be purchased at its face value, which is where the name of the series comes from. 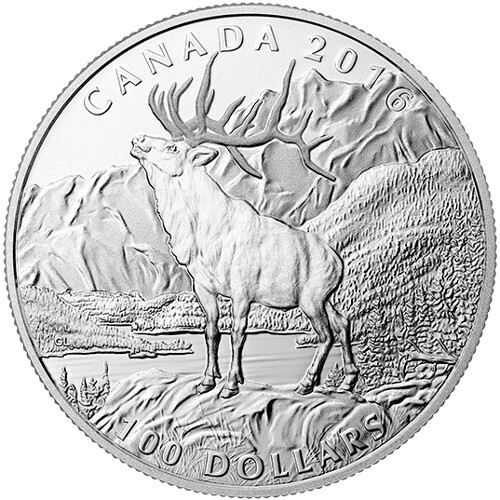 Today, you can get the 2016 1 oz $100 Proof Silver Canadian Noble Elk Coin at Silver.com. Arrives in a graphic collector case from the Royal Canadian Mint. Mintage limited to 30,000 coins only! Ninth release in the $100 for $100 Series. Bears a face value of $100 (CAD) backed by the federal government of Canada. 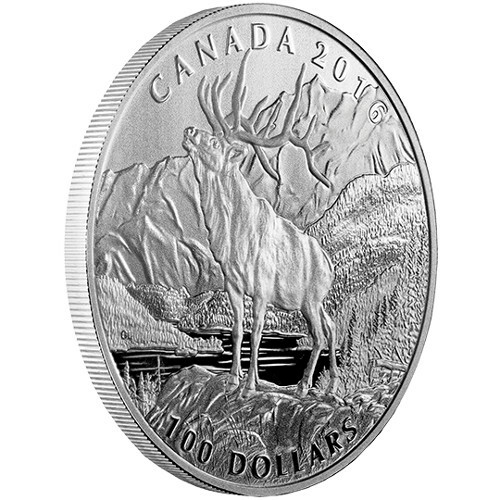 Reverse features the Noble Elk design. Elks are one of the largest land mammals in North America. The animal’s defining feature is the large set of antlers on its head. The reverse of each coin showcases Glen Loates’ design of an elk stag. The elk has a mane and large antlers. You can see the elk with its head raised to let out a mating call in hopes to find a female. Each of the coins in this listing has a face value of $100 backed by the Canadian government. These coins are the ninth release in the $100 for $100 Series from the Royal Canadian Mint. 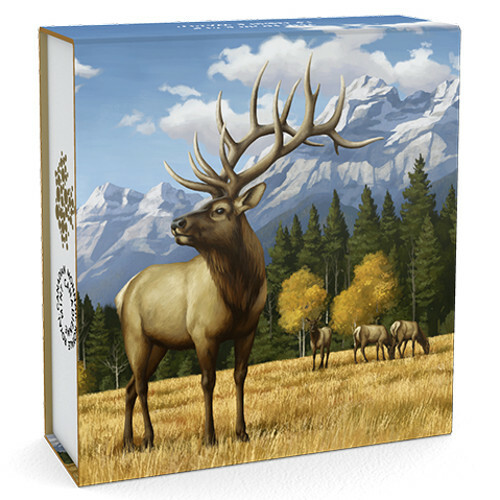 These coins will ship inside a graphic collector case with a full-color shipper designed to mimic the reverse of the 2016 1 oz $100 Proof Silver Canadian Noble Elk Coin. Each of the coins has a matte proof finish that gives the coins a strong, frost appearance. The Royal Canadian Mint is the sovereign mint of Canada. Founded in 1908, the original facility was opened in Ottawa, but a second location was added in the 1980s in Winnipeg.